If you are sending your condolence message with flowers, make sure that it gets to the bereaved family before the actual burial. 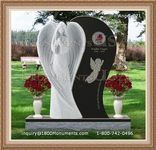 There are appropriate blossoms that are specifically for interments. 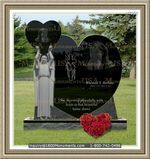 You can choose from half a dozen types of species and have them delivered to the funeral home with a short note. You can get professionally made note-cards at a bookstore, from a craft store or on the internet. Before making a purchase, read the message inside to make sure it is appropriate. Most people add their own message with store bought funeral cards. You can do this too and make your message more personal and special.